celebrated in other countries that mark the anniversary of the end of World War I; major hostilities of World War I were formally ended at the 11th hour of the 11th day of the 11th month of 1918, when the Armistice with Germany went into effect. The United States previously observed Armistice Day. 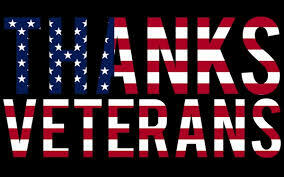 The U.S. holiday was renamed Veterans Day in 1954. I knew about the day celebrating military veterans but the 11 significance was a new one. My husband was in the Army during the Vietnam War. He didn’t serve in country but was stationed here. He’d finished up his MBA and got drafted. He could have “dodged” the draft and gone on for his PhD but decided to do his bit as he put it. When he died he had a military funeral. 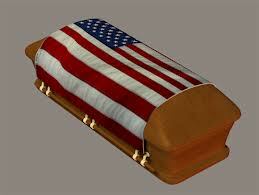 Here is the flag draped over his coffin. I have it right here in my office with me. I don’t know why I have that dog on top, maybe to soften the fact that he’s gone. There’s a picture of Dave and me that one of our friends took and a picture of our four kids in an old rusted out wagon they played with all the time. He was a really good husband and dad and I’m sure he was a good soldier. 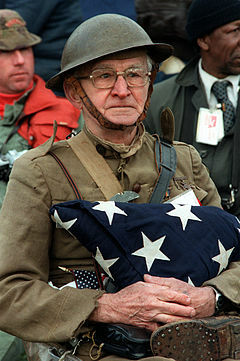 Let me tell you…when the soldiers play taps, fold the flag then hand it to you you can actually feel your heart break. A lot of guys and gals have done their bit. This weekend at a book fair a lady had on a US Navy sweatshirt. I asked if she served and she said yes. I shook her hand and thanked for keeping us all safe...and I really meant it. I do this a lot. Where would we all be without these incredibly brave men and woman? We wouldn’t be sitting here in the land of the free we all known that. And for everyone of them there is/was someone home worrying and praying. If you served in the military... Thank You. If you were the one home wringing your hands and praying like mad…Thank You. Tell us your military story. God bless. Duffy thank you for sharing those memories. We lost our nephew in Afghanistan. 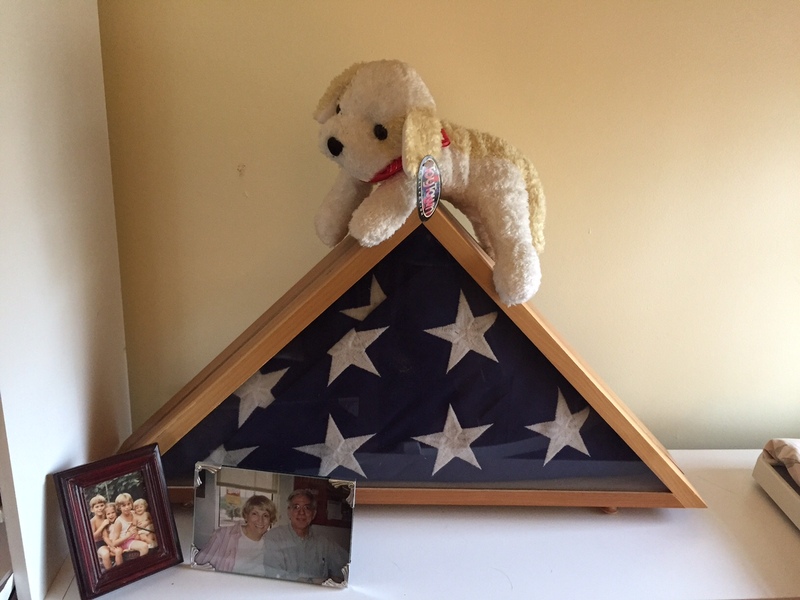 The memory that will remain forever is being at the airport when he came home from Dover Airforce Base. The care that was taken and the love that was shown moving him to the hearse. Then the crowds of people who gathered on the route to honor him. We will never be the same. Oh, Sarah, I am so very very sorry for your loss. I wish I could have been there along the route. Hugs, Duffy. Hi Duffy. My husband is retired from the USN. 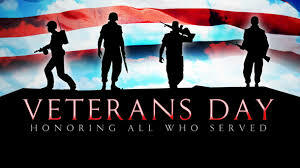 My dad served in the army during World War II, and my grandfather served in the army during World War I. It's a difficult life for for both the active duty member and the family who stays behind, but as your husband said mine wouldn't have had it any other way. He said that it was his duty to serve his country, and he did so proudly for over 20 years. I thank you for the gift of your husband's service to our country. Without men and women like him, willing to do their duty and risk everything, our great country would not exist as we know it. Thank you to you and your family for doing so much to keep us all safe. Bless you. Thank you, Cordella. What a wonderful family you have. I was in the Army from 1969-1971 and stationed in Ft. Bragg, NC. My MP battalion pulled Burial Detail twice while I was there. If I remember correctly, neither lives were lost in Viet Nam. The second detail, since I was the ranking member of the detail, I was the one that presented the flag to the family. A humbling experience to say the least. A lighter note to add, the next day I was scheduled to go before a SGT(E-5) board for promotion. One of the questions I was asked was who had won the Master's the day before. I replied that I didn't know, but one of the officers on the board was from my company commander and explained to the rest of members that I had been on a detail the day before. An officer that I served under there, was one of the officers that investigated the murders of the Jeff MacDonald family. Duff, Thank you for sharing this beautiful story. My husband served in the army. We went to a Veterans program yesterday at our grandson's school. I am always so proud and greatful.